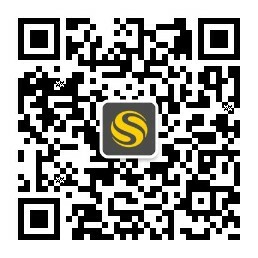 Leave your student accommodation and walk six minutes to Riverside walk. Meet friends for breakfast at Bill’s, then enjoy a stroll along the banks of the River Thames. Head to the Ancient Market to buy fresh produce, or make your way to the town centre to shop at the Bentall Centre and Eden Walk. When you want more choice, central London is a 30-minute train ride away. After dark, enjoy beers, burgers and live music at Grey Horse. 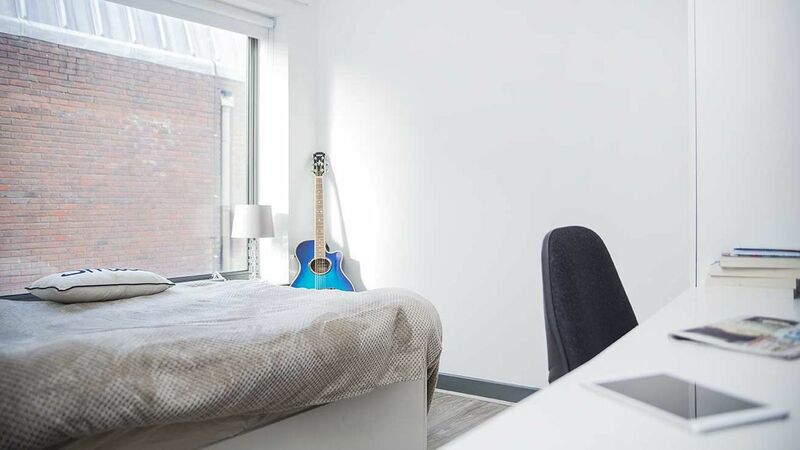 It’s a seven-minute walk to Kingston University from your student accommodation at Bright House, and it’s also easy to reach central London universities — walk 10 minutes to the train station and make the 30 minute trip to London Waterloo. 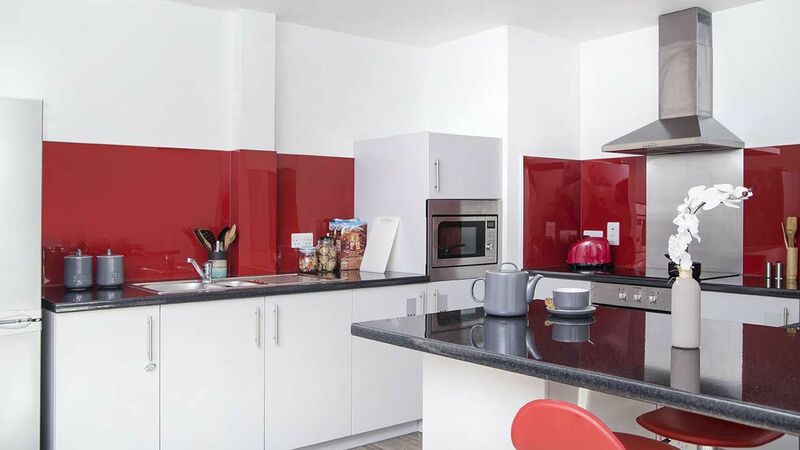 At Bright House you’ll be living in a shared six- or seven-bedroom flat. 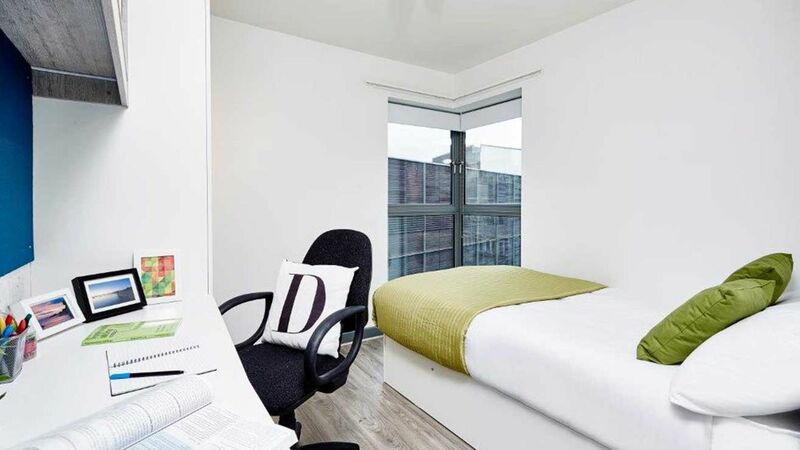 All rooms are fully-furnished with a bed, study desk and chair and plenty of storage. If you’d like some extra privacy, you can opt for an en-suite room, and Premium rooms are available if you’d like a little more space. Cook for your friends in the modern kitchen, then relax together in the communal space and watch your favourite shows on TV. There are monthly resident events to help you get to know your neighbours, and the on-site staff are available to help with any issues. All bills are included in your rent and there’s 24-hour CCTV and secure entry for your peace of mind. Wir haben leider keine Unterkunft gefunden, die deinen Wünschen entspricht.Alle Privatzimmer in Bright House ansehen.